Every year for Christmas, instead of giving one big gift, my sister and I fill each other’s stockings. We usually try to make it a theme stocking and they, of course, have many things associated with knitting: patterns, notions, yarn, etc. This year my theme for my sister’s stocking was spice. It was fun coming up with different things for her like spiced lip balm, exotic cooking spices, spice colored yarn. I also wanted to design her an original pattern in the theme. My sister loves mitts. She has knit a lot of them. They are her relaxing knit that provides quick satisfaction. So, I decided to design some quick mitts for her. I knew that I wanted to incorporate a more obscure spice, juniper berries. 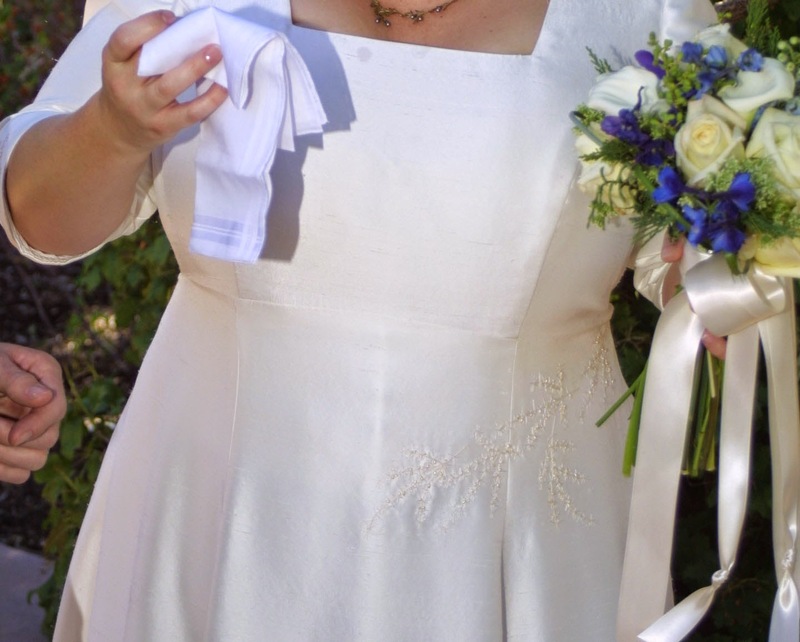 For my wedding, I had juniper and berries in my bouquet and my sister embroidered juniper and berries in white silk on my white wedding dress. I even had juniper jewelry. 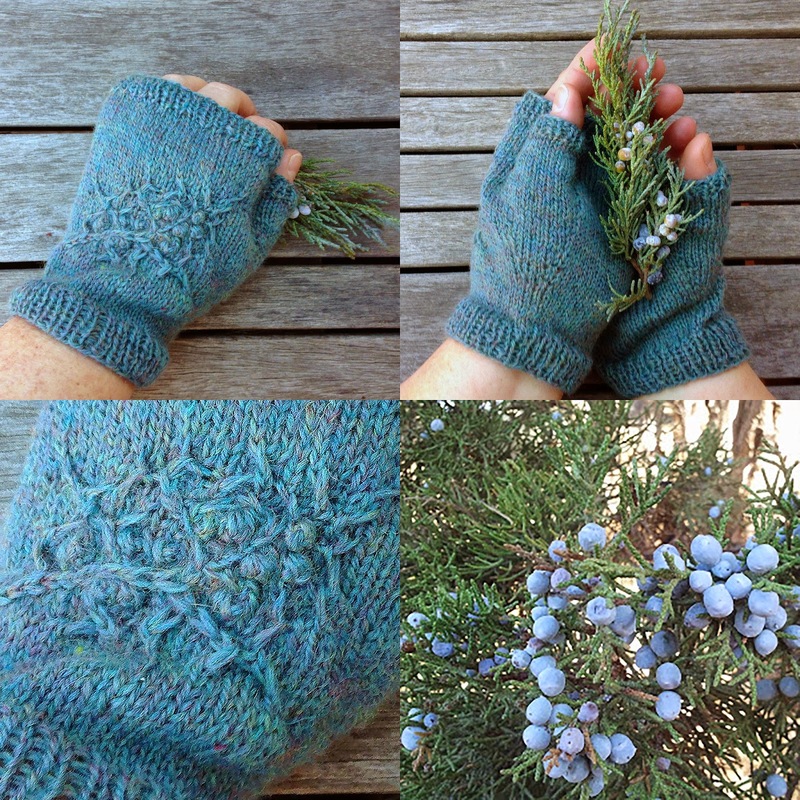 I think it is time I give back for her time embroidering juniper with some juniper berry mitts. 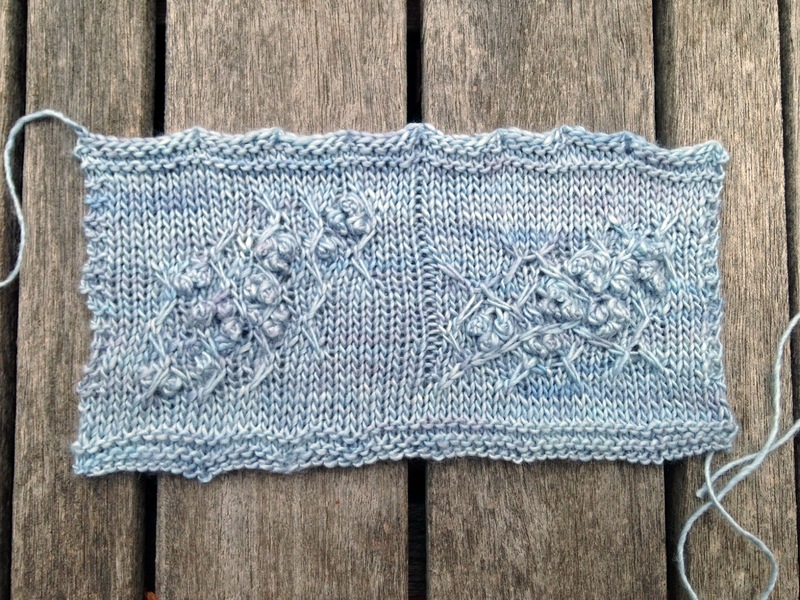 So, last month I swatched a couple juniper berry motifs that I created. I liked the right hand one best and incorporated that into a mitt. They turned out very cute. The juniper berry motif is subtle but I like it. They are fun to knit and now I can publish the pattern now that my sister has already seen it. And of course, I was inspired by my lovely Utah environment! Juniper is everwhere. The Utah Juniper (Juniperus osteosperma) is the most dominant species of tree in Utah; they cover nearly one-fifth of the state. They are also very hearty and can live to be 650 years old. Juniper berries are the female seed cone (not a true berry) with unusually fleshy and merged scales making it look like a berry. The berries can be dried and made into beads for jewelry and are also deliciously eaten by jackrabbits, foxes, coyotes and people.